The mercury started dropping last week and for the first time this season, i'm feeling the crisp fall air waiting patiently eagerly in the wings. There's nothing like that first hint of coolness, where nights start getting slightly chilly and a strong overwhelming longing for cozy knits and beautiful foliage uncontrollably takes over. As much as i hate the cold, i do truly feel lucky to be from a place that has 4 distinct seasons. This picture of Meredith Melling Burke represents everything i love about this transition: a cool disheveled summertime je ne sais quoi wrapped in a never-wanna-take-it-off oversized piece. 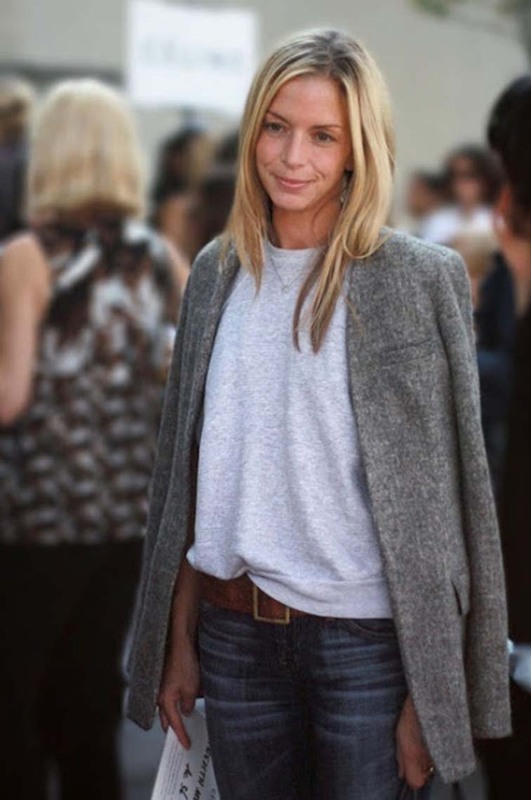 Totally love this relaxed look! And she looks gorgeous!